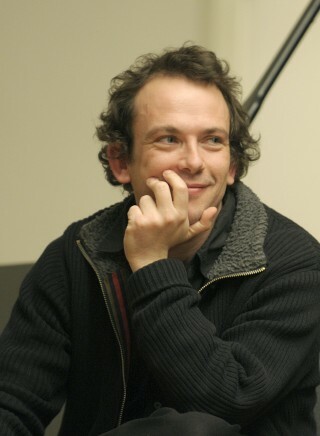 Born November 24th, 1969 in Dijon, the French composer Frédéric Pattar pays particular attention on the articulation between music, text, electronics, and visual representations. His music presents a highly contrasted language: always tense, without ceding but never refusing itself to a specific lyricism. It contains a genuine, dramatic intensity. The driving motors in Frédérick Pattar’s works, rhythmic fluctuations unfurling in successive waves heckling harmonic fabrics, create sonic perspectives that are just as predictable as they are surprising. This quartet identifies itself in four parts that are characterized by the fact that the quartet’s instruments are each soloists, accompanied by the remaining trio each time. The four soloists draw a zigzagging trajectory that goes from the highest pitches to the lowest notes. String Quartet No. 2 by Frédéric Pattar is a co-commission from the Messiaen Festival in Pays de la Meije, the Luberon International String Quartet Festival, Autumn Sounds Festival in Annecy, and Bela Quartet.